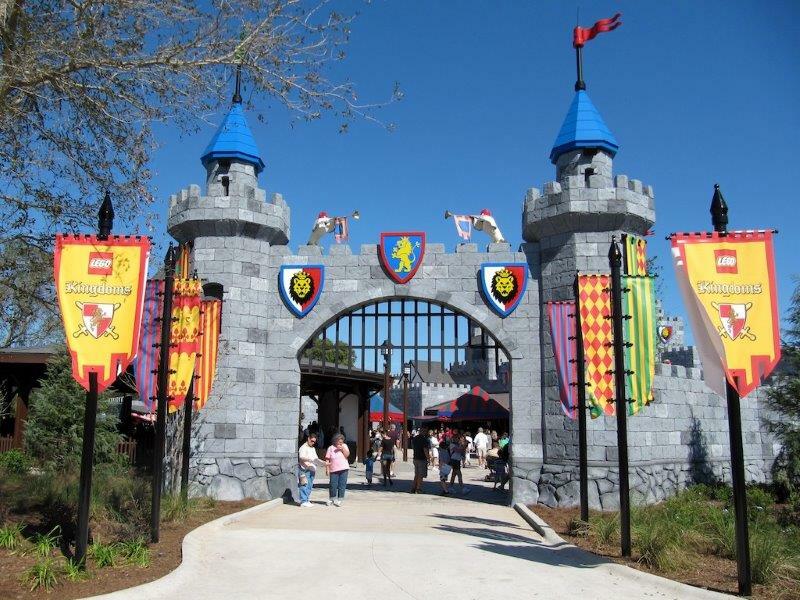 Children ride LEGO-themed horses through a number of medieval scenes where they encounter other riders in a simulated joust. Height Requirement: Child must be at least 36 inches. Height Requirement: Child must be between the ages 4 and 12. Height Requirement: Weight limit. Maximum 170 lbs. A multi-level tree and rope climb adventure for children to enjoy. This attraction closes at dusk. Height Requirement: Below 48″ must be accompanied by a responsible rider of this height or taller and must also meet the minimum rider height requirement. Height Requirement: Child must be at least 40 inches. Climb aboard a mysterious wooden train ride powered by the wizard’s magic. A feast fit for a king! Enjoy one of our freshly made cheeseburgers and golden French fries. We also offer freshly made chicken salads. For the younger royals, we offer a kids burger meal complete with milk or water and a side of fruit! The menu features soft-serve chocolate and vanilla ice cream served in tasty waffle cones, plus a “swirl” combination of both great flavors. Guests can add up to two “flavor bursts” to each cone, including cotton candy, strawberry, blue raspberry, mocha cappuccino, cheesecake, caramel, tropical orange and black cherry.